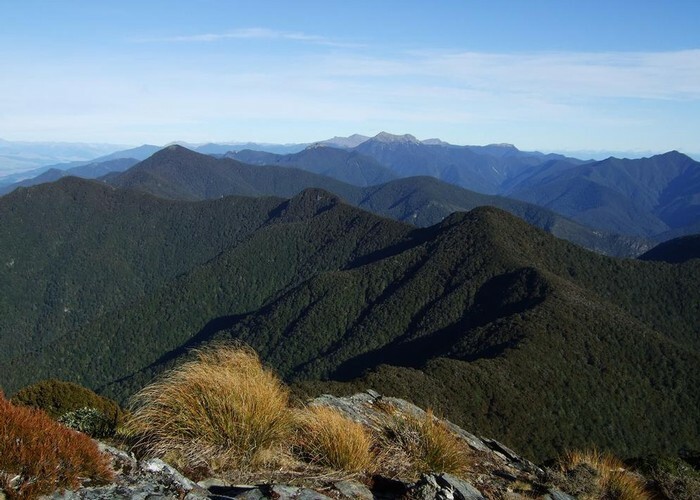 This is the view along the Richmond Range from Mt Sunday to Mt Fishtail in the center distance. Mts Johnston, Richmond and Fell can also be seen in the distance. The picture was taken whilst travelling between Fosters Hut & Mt Sunday Bivvy. Added 11 December 2014 by glennjglennj. No revisions.